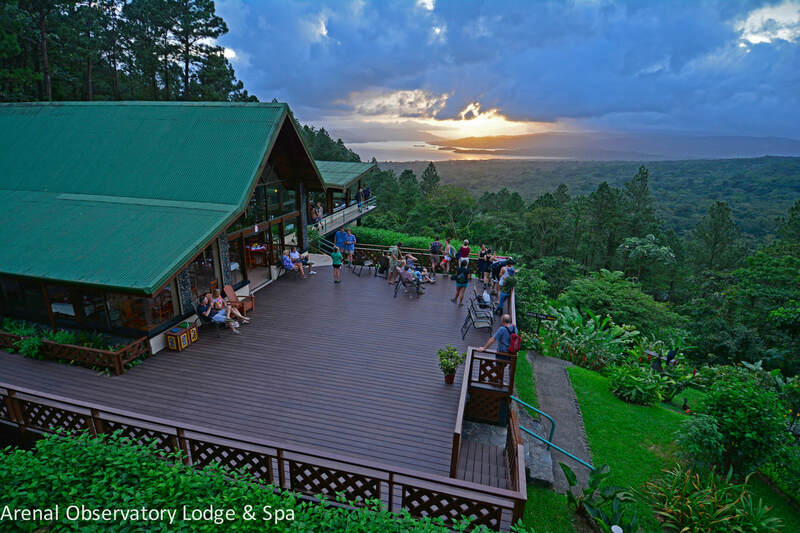 Set high on a ridge facing Costa Rica’s most active and spectacular volcano, the Arenal Observatory Lodge offers the adventurous traveler a unique, once-in-a-lifetime experience. Arenal Observatory Lodge is situated on a ridge 120 meters above Lake Arenal. The ridge rises between the Agua Caliente and Quebrada Danta rivers. This topographical feature is important preventing any possible lava flow from affecting the Lodge. The lodge is within ZONE “D” Low Danger Area, near the volcano. Moreover, as prevailing winds are from the East, the lodge would seldom be affected by ash or other fallout from a major eruption, as the lodge is located to the southeast of the volcano. 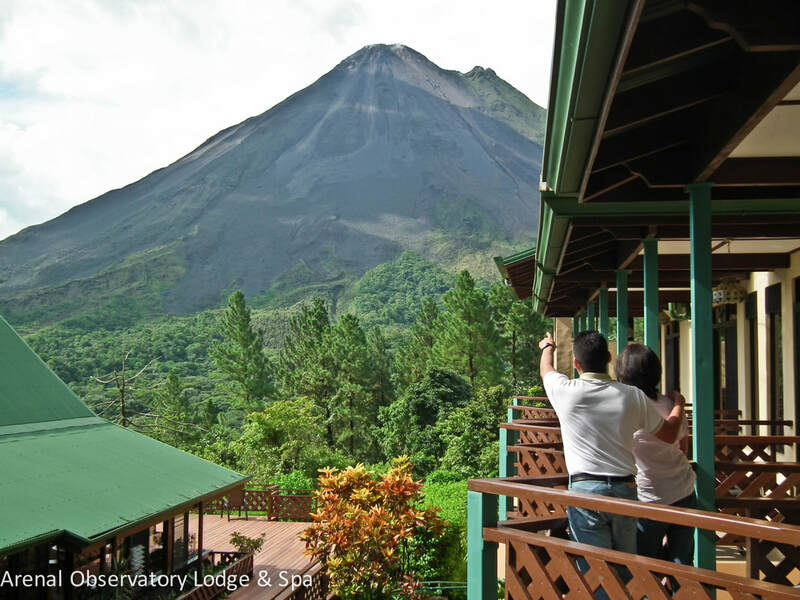 At the Arenal Observatory Lodge, awesome views of Arenal Volcano from the comfort of your room, or from one of the many perfect volcano viewing sites around the lodge. Other attractions include a waterfall, just a short hike away, which cascades into the cool forest depths. A well maintained path leads guests to this magical spot. 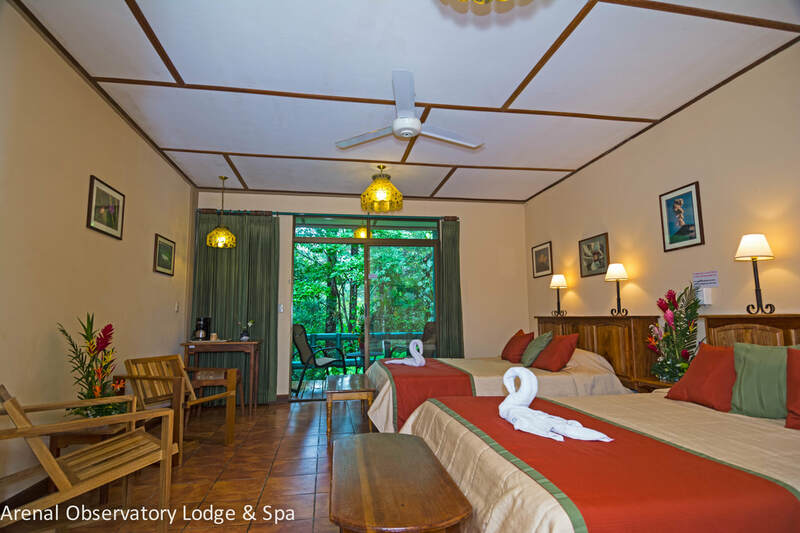 The Arenal Observatory Lodge features 43 spacious rooms. All are comfortable and most have volcano views from the privacy of your own bedroom. Five rooms are fully equipped for disabled travelers, with rooms, bathrooms, hallways, parking areas and even the new swimming pool designed accordingly.